The links below are a comprehensive listening list, and we encourage you to listen to them before, alongside, and after the podcast. The next episode will be about the Chronic Town EP. Pylon - Volume (1980) - YouTube — Here's a live show by Pylon, a band that was active in the Athens scene at the time R.E.M. came up. Pylon - Crazy - YouTube — This is Pylon's big single from 1983, which R.E.M. would later cover. LOVE TRACTOR - SPIN YOUR PARTNER - YouTube — This is a video and single from Love Tractor, the band that Bill Berry left to join R.E.M. The Power of Independent Trucking: R.E.M. : "Cassette Set" (1981 demo tape, RARE!!!) — A writeup about the earliest known live show bootleg. 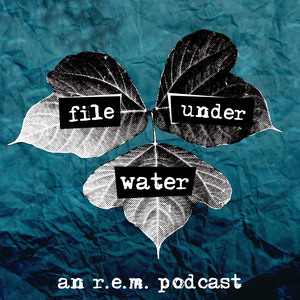 Invisible Hits: The Earliest Known R.E.M. Bootleg | Pitchfork — Another writeup about the bootleg, with embedded YouTube links. R.E.M. - Narrator - YouTube — A very strange early song. Radio Free Europe - Hib-Tone Single - 1981 - YouTube — The song that started it all. Compare it to other versions of the song... Producers matter! R.E.M. Do Not Open Hib Tone Demo Tape - YouTube — The demo tape that the band sent out to venues to get gigs. Meeting - YouTube — A song from Michael Stipe's German noisepop band.